"My name is Marie Peaslee, and I am a senior studying Kinesiology at LSU. I have been having pains in my lower left back and hip since I was in junior high, and it has continued now into my senior year at LSU. 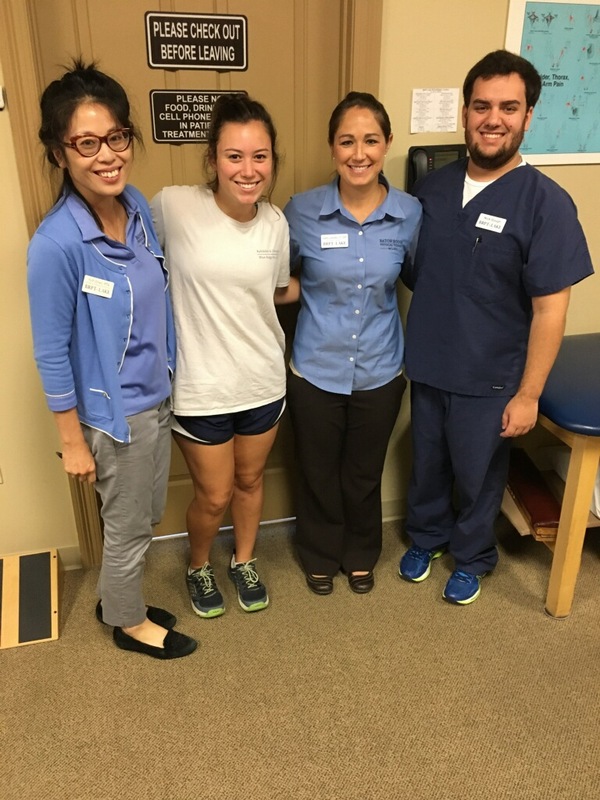 I started going to Baton Rouge Physical Therapy –Lake at the Lee location, and have seen 100% improvement. I worked with Jamie and Nick, but everyone at the clinic showed interest in me and worked with me when needed. Thankfully, I have been to this location before and worked with this team for an ankle injury, so the welcoming feeling and good experiences picked up right where we left off. I began with some simple stretches and dry needling in my lower left back and hip, which resulted in soreness and pain. However, after going for two weeks the pain ceased, and I progressed into more strengthening exercises. I went twice a week for about six weeks, and each visit showed greater improvement. The stretches I did included piriformis stretch, and a leg extension and hold while laying on my back. I progressed to strengthening exercises which included variations of clamshell with a band, squat side steps, lateral pull downs standing and on an exercise ball, standing punch-outs, and leg presses. Not only did Jamie and Nick sit with me through each exercise, but they also made an effort to get to know me and have intentional, genuine conversations to help me feel comfortable. BRPT-Lake has shown me an amazing experience, and helped me learn exercises to strengthen the region around my back so I no longer feel this pain. I am so thankful for the genuine effort made by their team, and the positive environment they provide." Dry needling was used in Marie’s case to help alleviate initial pain levels and “turn on” deep lower back muscles. Dry needling is a technique physical therapists use to treat myofascial pain by releasing or inactivating trigger points, with the purpose of relieving pain or improving range of motion. The “dry” part of needling means that the needle doesn’t deliver any kind of medication or injection. Once Jamie and her team relieved Marie’s pain, they were able to initiate strengthening exercises. For higher-level core strengthening, the standing punch-out, or Pallof press, is a great exercise that kicks in not only your lower back muscles, but also your obliques, glutes, and serratus anterior. It looks deceivingly simple, but you will feel those muscles engage almost immediately!